An effective Autism treatment begins with correctly diagnosing the underlying causes of your child's signs of autism. There are multiple causes of autism, so your quest in finding the most effective biomedical treatment for autism requires that you teach yourself and do a lot of research to find out what those underlying autism causes are and how to go about treating them. It is best that you work with an experienced and qualified health practitioner that can help you find the right diet, holistic treatment and supplement program that can change your child or adult with autism into a fully functioning person. I can help support your child's metabolic needs in recovering and repairing damaged neural pathways, liver detoxification pathways, stress management capabilities, Methylation and redox reactions, healing the gut and correct Dysbiosis and Candidiasis and most importantly improve their underlying Endocrine function of the Adrenal glands, Thyroid function, and Pituitary and Hypothalamic functions of regulating the Autonomic nervous system and the Oxidation rate of the cellular metabolic pathways. This will enable the body to rid itself of unwanted Toxic heavy metals, oxidizing free radicals and other endocrine-disruptors that create stress and havoc on the nervous system and the brain tissues. There are multiple causes of Autism, and finding the right approach to treating Autism requires an in-depth analysis and correction of Nutrient deficiencies while also avoiding food allergens like wheat gluten or dairy proteins that can lead to more autoimmune reactivity that will continue to damage the entire body, including the brain. What causes Autism in children? 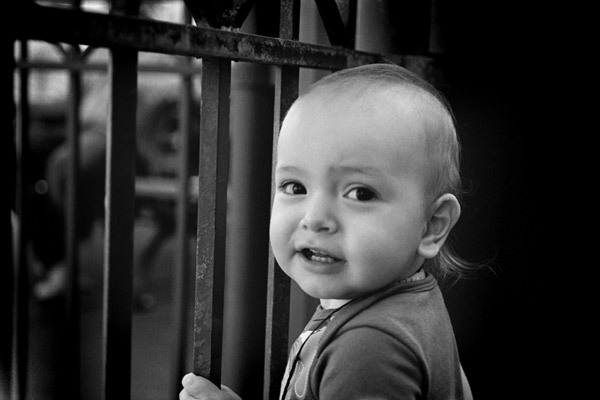 …..There is not just one single cause for autism in children. There are many, many causes of Autism! Mercury containing vaccinations have been one of the single most discussed causes of Autism. Many, many parents have spoken out and described their child's onset of the signs of Autism began directly after their child received numerous vaccinations. There is a definite correlation between the childhood occurrence of autism and vaccinations. Thimerosol is a preservative used in many older vaccines, and were contained in the Hepatitis B vaccinations that were used beginning in 1995. In the year 1995, The Hep B vaccination schedule was tripled by pediatricians in the United States, increasing the child's exposure to the Hep B vaccine and the Mercury containing Thimerosol by 300%. This is the exact same time period when the Autism Epidemic began! 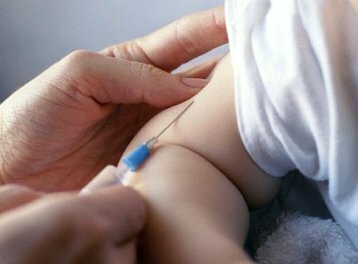 A lot of researchers and doctors took notice of this 3 x increase in the Hepatitis B vaccination schedule, and many studies were performed to determine the exact correlation between the increase in vaccinations containing Thimerosol, and the increased incidence of childhood Autistic Spectrum Disorders, with very startling and revealing findings and discoveries. There is still a lot of controversy about whether or not parents need to be cautious about giving their children their scheduled vaccinations or not. Many pregnant women are also being advised by the CDC (Center for Disease Control) and the WHO (World Health Organization) to get their flu shot for various epidemic flu viruses: H1N1, Avian Bird Flu, Swine Flu. "Of the 20 pediatric deaths this week, 17 were eligible to receive flu vaccine. Of the 15 children who were eligible for vaccination and for whom CDC had a vaccination history, only one was fully vaccinated against influenza. These deaths are a somber reminder of the danger flu poses to children. The single best way to protect children against seasonal flu and its potential severe consequences is to vaccinate them. Among children, vaccination is especially important for those younger than 5 years of age and those of any age with an underlying medical condition like asthma; a neurological, neuromuscular or neurodevelopmental disorder; or immune suppression. These children are at higher risk of serious complications if they get the flu. But it’s important to remember that even otherwise healthy children can become seriously ill if they get the flu. Laboratory-confirmed influenza hospitalization data reported during the 2012-2013 flu season indicated that approximately 46% of children hospitalized with the flu had no identified underlying medical conditions." "Pediatric vaccinations are being given too many all at once or too close together. This puts too much stress on the just developing immune system of the infant or toddler and can lead to an autoimmune response that damages neuronal tissues in the developing brain." Another major thing to consider is the fact that there is no to very little transparency as to what all of the preservatives and ingredients are in each of the vaccines being given to the children. Parents are rarely given very much of a choice about their child's vaccinations. Often 20 or more vaccinations are given in the first two years of a child's life. Pediatricians generally give parents an ultimatum: "If you do not vaccinate your baby, you are risking your child's life to infectious diseases, and also risking our entire society to the infectious viruses, that these vaccines are designed to prevent the spread of. There is a mounting body of evidence that those children who receive their normally scheduled vaccinations are more likely to contract the flu or the Measles virus than the children who do not get injected with the very viruses that we are trying to avoid and prevent from spreading. The CDC website describes, that even though there is no "evidence" that thimerosol-containing vaccines have ever caused any health problems or pose any risk to public safety, that Thimerosol's use as a preservative has been discontinued. However, multiple researchers and investigators have continued to find Thimerosol in vaccines and flu shots that are being administered in pharmacies, military and pediatric facilities across the United States as well as in other countries. Mercury has a long history of use in conventional medicine. It was used as a topical cure against Syphilis in Europe in the 19th century. It's been used as a sterilizing agent during medical surgery. It was given as a general antibiotic to much of Industrialized Western Europe in the 1800's to cure the many epidemic flus, bacterial infections and infectious viral epidemics that infected much of Europe's citizens. This was also the same time that the Industrial Revolution was gaining more and more support through the mining of Coal and the production of metal ores through smelting and other mercury-dependent industrial practices. Since then it has been in use for electrical engineering, the mining of precious metals like gold, and almost any metallurgical process uses mercury in its manufacturing process. Mercury has been used as an antibiotic and preservative in all of the Vaccines of the 20th century. Mercury is still being used as a preservative in Silver dental amalgams, which research has found to continuously leach Mercury vapors into the bloodstream of the recipients of these dental fillings. Thimerosol has been used in every vaccine since the 1930's and is an inorganic form of Mercury called Ethylmercury. This form of Mercury is thought to have much less neurotoxic effects as the Organic form Methylmercury. Recent research findings show however, that Ethylmercury stays in the brain tissues much longer then Methylmercury, which may cause Ethylmercury and therefore Thimerosol, an even greater toxic effect to brain tissues and neuronal cells then the Organic Methylmercury found in large ocean Fish. To this date, Coal burning, as is used in most all electrical power plants in the United States, is the most abundant source of Mercury in the air, waterways, soils, and is ending up in the food chain, primarily large ocean fish. I promise to use it only to send you Health Nuggets. Order a Hair Analysis Now!